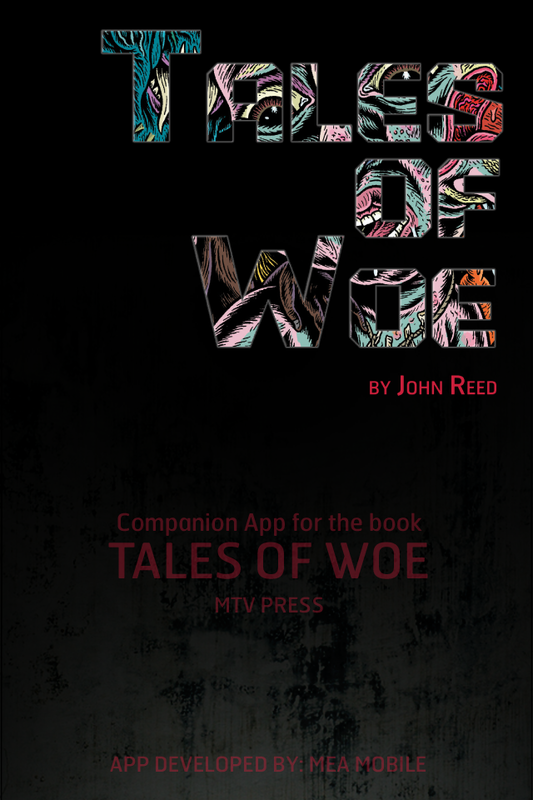 Tales of Woe - Companion App for John Reed's Tales of Woe - a new book from MTV Press (Fall 2010). Feeling miserable? Share your Tale of Woe live and anonymously with the Tales of Woe companion app! If you so desire, you can post your Woe to your Facebook or Twitter account, too. Feel better instantly, as you read and delight in the abject Woes of others. Scroll through the cries into the void, as the Tales of Woe companion app catalogues the despair of humanity. 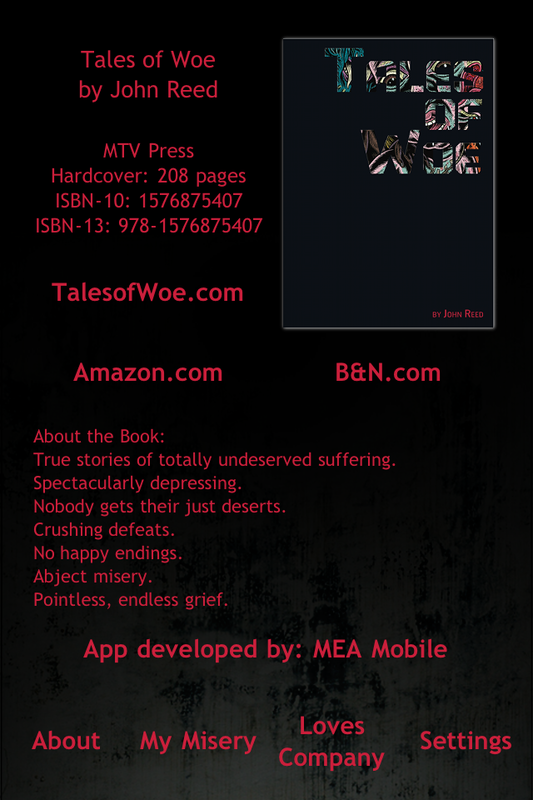 John Reed's Tales of Woe (MTV Press) chronicles true stories of totally undeserved suffering. Spectacularly depressing crushing defeats without happy endings. Pointless, endless grief without a single lesson of temperance or moderation. A one-of-a-kind book of doom, white text on black paper, fluidly readable, and coupled with fifty pages of full-color art.